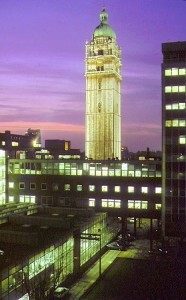 Back in April 2010 I devoted a whole blog to the Queen’s Tower and all of the audio-visual material we had available. Now here on 17 November 2017 it’s time to celebrate the tower’s 125th (quasquicentennial) completion date or more correctly ‘topping out’ (17 November 1892). In fact the true celebration should really be next May 2018 when it will be 125 years since Queen Victoria opened the Imperial Institute that the tower was originally part of on 10 May 1893. But I guess that’s yet another blog opportunity for me next year. One item that escaped in that previous 2010 blog was this sound recording that I made of the tower’s bells being run. I placed microphones in the actual the bell chamber to exclude all external noises like cars and so on. Needless to say I was not that silly to stay anywhere near the bells when they were rung. So, in the short video below you’ll hear that recording for the first time. 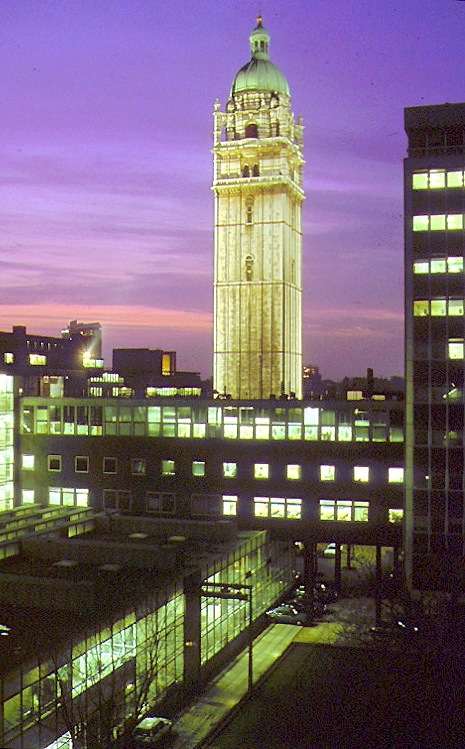 Watch out next May 2018 for more on the Queen’s Tower when we’ll look at the opening of the main Imperial Institute buildings. 38 years ago in May 1979, Michael Arthur held the post of Students’ Union Welfare Advisor. He later became College Assistant Secretary within Central College Administration. Here he is talking to Paul Johnson about how to go about finding accommodation during the next academic year. Once again, this is an edition of STOIC’s Summer Lunch Break with an interview recorded in black and white, but with a colour introduction.